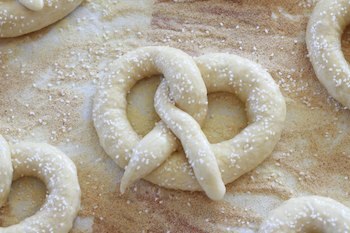 According to Elle, who chose soft pretzels as the bread of the month for our little band of twisted sisters known as the Bread Baking Babes, the traditional pretzel shape is meant to resemble folded hands, and they were schoolboys’ rewards from the monks for learning their prayers. This is fitting, because after the first batch I made, which called to mind Winnie-the-Pooh falling head-first into the honey pot, I was certainly praying for a better outcome the second time around. Praying hands? Not so much. Praying hands? Hmmm …. looks more like like a pretzel to me. 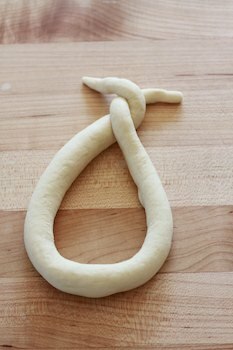 I made my pretzels on the large side — 85 – 90 grams — and I found that, for this size, the ropes need to be rolled to about 26 inches (not 18, my first attempt) in order to maintain the definition of the shape through proofing, boiling, and baking. Elle’s recipe was originally found at MyRecipes. Here, Elles, notes are in bold, and mine are in italics. Note that I doubled the recipe, so my conversion to grams reflects the larger batch size. Lightly spoon flour into dry measuring cups; level with a knife (Not necessary if you weigh!). Place dough in a large bowl coated with cooking spray (or oil), turning to coat top. Cover and let rise in a warm place (85°), free from drafts, 40 minutes or until doubled in size. (Gently press two fingers into dough. If indentation remains, the dough has risen enough.) Punch dough down; cover and let rest 5 minutes. Cross one end of rope over the other to form a circle, leaving about 4 inches at end of each rope. Twist the rope at the base of the circle. 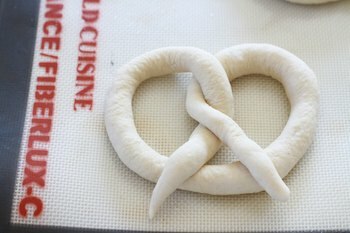 Fold the ends over the circle and into a traditional pretzel shape, pinching gently to seal. Combine 6 cups water and baking soda in a non-aluminum Dutch oven. Bring to a boil; reduce heat, and simmer. Gently lower 1 pretzel into simmering water mixture; cook 15 seconds. (I boiled three at a time in a 7-quart pot.) Turn pretzel with a slotted spatula; cook an additional 15 seconds. Transfer pretzel to a wire rack coated with cooking spray. (I found an ungreased rack was fine.) Repeat procedure with remaining pretzels. This was a terrific challenge and I can’t wait to try some variations. 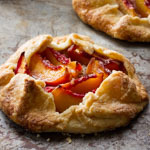 Bake your own by September 29 and send them to Elle to be included in the roundup. The links to the other Babes on my lower right sidebar should provide ample inspiration! Wow are yours ever beautiful Susan! I must try your twisting method. It’s just perfect. Those look beautiful – both kinds! Ha. Now I’m wondering which will be more satisfying – the praying hands version or the bun version. It will be interesting to see which kind I end up with. Oh Susan, they are so beautiful and golden and I want one right now. Thank you for figuring out how to do it by weight…now I’ll enjoy making another batch using my scale. Just lovely! fabulous! i will be making these soon! Thanks for the pretzel lesson. Yours look beautiful. Yesterday,before I read your blog, I tried my first batch ever from Hamelman’s Bread. Nice flavour but my shaping was like your first lot–no spaces. I mix by hand and am not used to such a dry dough. Think I added too much water and then overproofed! Beautiful! I am so inspired, I think I will use our seasonal fruits and make something similar during the coming weekend! 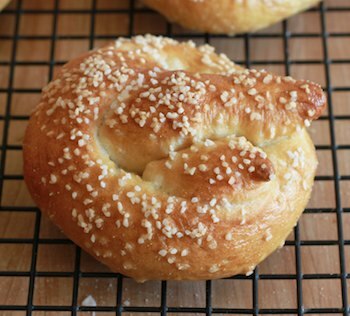 I’ve never made pretzels but your post has convinced me to try – they look so beautiful and delicious! Have you thought about using a lye bath for creating the traditional deep mahogany finish? Susan, I made pretzels not so long ago and I made the same mistake as you, they looked bad. I have to try again, rolling them thinner. 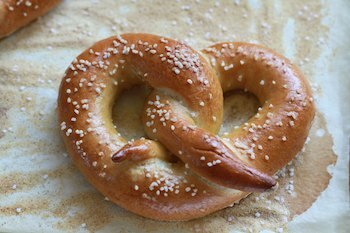 I so much want to try making pretzels myself, just haven’t found the moment yet. 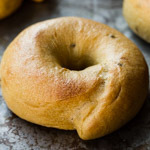 I have a feeling that homemade ones would be so much better than the typical ones you find at street carts and what not, and since I love pretzels, I would love to taste them homemade. Yours look beautiful! 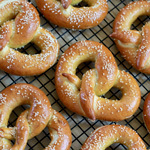 I grew up on pretzels, having moved abroad, I need my fix, it’s something I can’t find easily on the streets like in NYC, I love the recipe and photography. Very delicious! I like it! Thanks for sharing! I have been set on making homemade pretzels for awhile now. Thanks to this lovely post, I am one step closer to accomplishing that goal! These look so good. I’m determined to finally attempt making soft pretzels. Thanks for the great tips! Wow these look amazing! My kids have a half day this Friday I think I know what I’ll be doing with them to keep them busy! wow. 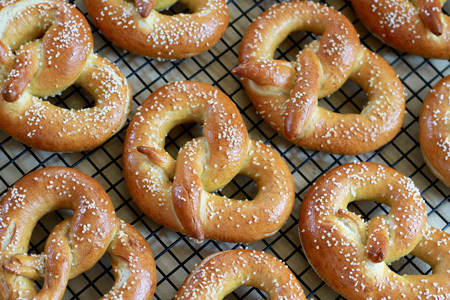 so that’s the way to make pretzels… never though dough could be boiled without falling apart. so interesting… and you shaped them so well! Why does it have to be a non-aluminum pot? Amie, the aluminum might react with the baking soda in the water and produce an off taste or color. ¡Qué delicia!. Me gustan muchísimo. Yours look wonderful! 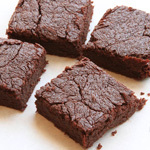 I just puled mine out of the oven and they taste amazing! I agree, this was a great challenge this month and one that I would repeat for a party! I think your post is very interesting and mostly i keep looking for like this type of websites where i learn or get new concept. 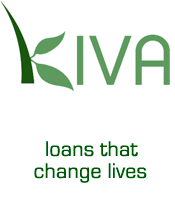 I am happy to visit on your site. Thanks to share it. O envio da mensagem para o meu blog? You seem to have a good understanding of these. While the recipe looks great and all, it is not healthy. I was looking for recipes with non synthetic yeast. You know, the kind that transforms the sugars, phytic acid and gluten in grains to digestible and not toxic. Was hoping to also gain a powerful probiotic when I read the name of this blog. 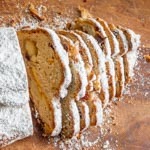 Do you know that the typical name for a sourdough starter is wild yeast. 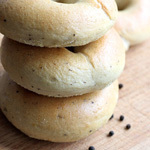 Your blog is misleading, and all over the web being a distraction for those looking for recipes that are for wild yeast. Please change your name, or convert your recipes. Angela, I’m sorry that this recipe does not meet your standards. Perhaps you will spend a few more minutes looking around my blog and discover that I do have many breads leavened entirely with sourdough (most popular: Norwich Sourdough http://www.wildyeastblog.com/2007/07/08/my-new-favorite-sourdough/ ), as well as a recipe for starting your own sourdough starter with only flour and water ( http://www.wildyeastblog.com/2007/07/13/raising-a-starter/ ). 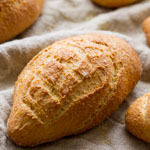 I hope you will find some of these posts helpful in your quest to bake healthier breads. Pretzel seems a really nice choice to bake with my kids 🙂 Thank you for sharing!! awesome i wanna eat can u make for me? Para obter essa informação, você pode ajudá-los muito. Estou sempre satisfeito com o que você traz para o muito interessante e útil, obrigado. É por isso que continuamos a explorar coisas para nós para saber o que devemos fazer. Eu gosto dos esforços que você pôs neste, cumprimentos para toda a grande conteúdo. detalhes, que diz respeito ao cargo. I really like the dear information you offer in your articles. I’m able to bookmark your site and show the kids check out up here generally. Im fairly positive theyre likely to be informed a great deal of new stuff here than anyone. I can’t wait to try this! My first attempt with another recipe turned out much like yours and was very frustrating. Thanks for all the additional notes. I’m so all about the scale! Drive Fumes USA is the essential high-class esmoking brand in Indian formally giving esmoking apparatuses which concentrates to individuals to change from smoking cigarettes to esmoking in 48-72 hours guaranteed. Evovle Fumes has its own particular Inner taste generation lab in Florida with 30+ tastes accessible. Said farewell to every single unremarkable pose a flavor like Apple, kiwi natural product, paan, and so on and make fitting collaborator with Bananas cheddar dessert, grape-ojello, Candy caramel fudge and vanilla flavor kappa to give a couple cases. This heart-shaped cake is very beautiful and attractive. I am also not a fan of buttercream frosting and always substitute for a cream cheese frosting. I’ll always use the buttercream recipe add-ins though. Love this idea and am excited to see what comes next.